This photograph of the northern part of the Casino gardens was taken from the Winter Sporting, which is where you'll find the main cinema of Monte Carlo. These gardens have many beautiful and rare trees and are always kept in beautiful condition. You can see another photo here. It is very nice. And clean. Thanks for the offer to play tour guide. I will definitely look you up when I go to the Cote D'Azur. 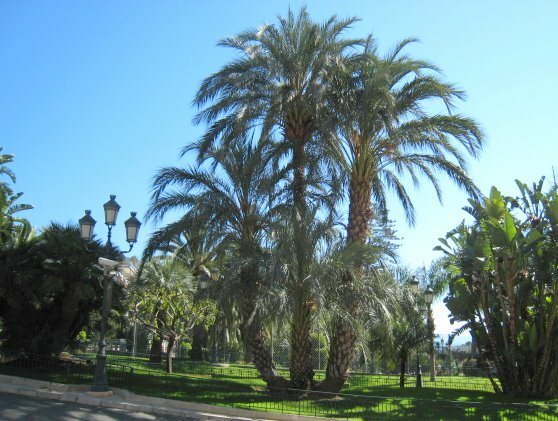 Wonderful gardens, this palm is really impressive, great shot! Cheers from MC.